The IP Phone 8865 combines an attractive new ergonomic design with 720p HD video and wideband audio for crystal-clear voice communications, “always-on” reliability. Encrypted voice communications for enhanced security. 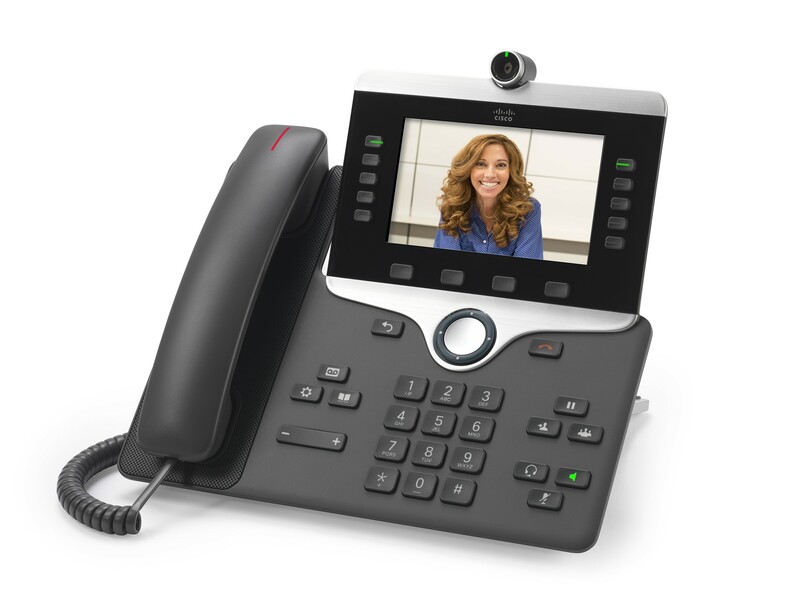 With access to a comprehensive suite of unified communications features. The IP Phone 8865 offers five programmable line keys. You can configure keys to support either multiple directory numbers or calling features such as speed dial. You can also boost productivity by handling multiple calls for each directory number using the multi call-per-line feature. Fixed-function keys give you one-touch access to applications, messaging, directory, as well as often-used calling features such as hold/resume, transfer, and conference. A five-way navigation cluster helps you transition through menus more easily. Backlit acoustic keys provide flexibility for audio path selection and switching. The phone offers a 5-in. high-resolution (800 x 480) widescreen VGA backlit color display. Localized language support, including right-to-left on-screen text, meets the needs of global users. The phone also supports campuses with 802.11a/b/g/n/ac wireless LAN (WLAN) enabled. Support for Cisco EnergyWise® technology makes the 8865 more energy-efficient and ecofriendly; the phone is qualified by the Energy Star organization. An optional wall-mount kit is orderable as a spare part for customers who want this capability.